It therefore makes sense to familiarize yourself with popular terms that you are most likely to come across in your dealings. DDU and DAP are two such terms that you can get confused with. Remember, these are terms that are used internationally, and not just when you are shipping from China. They are widely used delivery terms that you will come upon in your business in international trade. DDU is the acronym for ‘Delivery Duty Unpaid’ and/or ‘Door Delivery Duty Unpaid’. It is a term of delivery where the seller or supplier pays all expenses other than the import duty or tax for the given merchandise at the country of import. What this implies is that the buyer is liable to pay only the import duty at the destination, where ever it may be. The DDU is an agreement that is concluded between the seller and the buyer. Under the agreement the seller arranges and pays for the consignment to be delivered at the designated port, from where it is shipped. 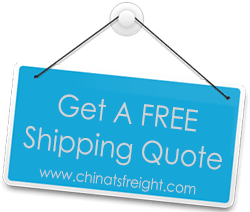 The seller pays the custom fee and meets the expenses for the ocean freight of the shipment to the buyer’s chosen destination. Upon arrival of the cargo at the destination the seller appoints a freight forwarder who handles custom clearance of the consignment and arranges for the same to be delivered at the buyer’s doorstep. In short, as per the DDU terms of delivery, the seller is not just responsible for safe delivery of the consignment but he also bears all expenses related to their delivery to the buyer’s chosen destination except tax or duty levied in the country of import. DAP the short form for ‘Delivered At Place’ was introduced in 2010, and applicable for any mode of transportation. It is a term of agreement between a buyer and a seller, much like the DDU. It must be mentioned here that DDU was removed from the Inco terms published in 2010 and was replaced by DAP. However, some traders continue to use DDU in their business contract documents; but it is mandatory for them to mention ‘as per Inco terms 2000’ in the said documents. Under DAP the seller and the buyer sign a contract where the former agrees to deliver goods to a specific destination. It is the seller’s liability to ensure goods are securely packed for safe shipment. He also transports the goods for custom clearance to the port in case the consignment is being shipped by ocean freight or to the airport if the cargo is being sent by air freight and completes necessary formalities for the same. The seller is liable to bear cost of insurance of the goods up to the destination mentioned in the agreement. According to DAP terms the seller is legally responsible to pay all expenses incurred with relation to the consignment until it reaches the destination mentioned in the agreement. The seller also pays for unloading of goods at the final destination; unless it is otherwise stated in the contract. Once the goods reach the destination as per the contract they are considered delivered to the buyer. Thereafter the responsibility of the goods changes hands and the buyer becomes accountable for them. He is required to complete the formalities regarding customs, pay the applicable duty and move the goods to wherever he wants. To sum up, under DAP terms the seller bears the costs and risks to deliver consignments to a specific destination agreed upon in the contract. From that point onwards the buyer takes charge and all risks and expenses are his.